We know that the most important part of our process is talking to communities before a design is even drawn. We want to know what the priorities are, the things needed and the great big ideas communities want included in the design of their playspaces. To make sure we are always listening, we survey a lot. The answers become reason to make play happen in communities all over the country, and tell individual stories and challenges to access quality play. 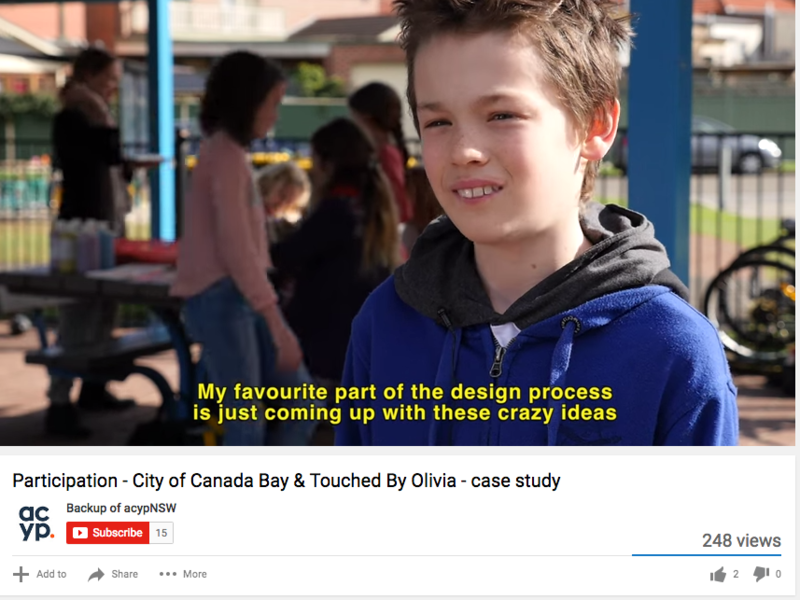 Every community Touched by Olivia works in gets the full consultation – we talk to kids, families, decision makers, service providers – everyone who will share their thoughts on inclusion is heard. We then take your ideas and turn them into a brief for the designers, who bring it all to life with the support of all levels of government and industry. Below is a short video about the process and why it is important from the Advocate for Children and Young People in NSW.